Are you thinking of going to the wonderful Greek Island of Paxos? In this post I will answer the most frequently asked questions about the Greek Island of Paxos – hence the title Paxos FAQ. I hope that my answers will save you time and help you to make an informed decision about travelling to and enjoying this wonderful Greek Island. These answers are based on my personal experiences of visiting this very special place which my wife and I love dearly. Where I have written a separate post answering a question I have provided a link to that post on my website. 1 – Why go to Paxos? Why not? Seriously Paxos is a small, chilled and lovely island with no airport. 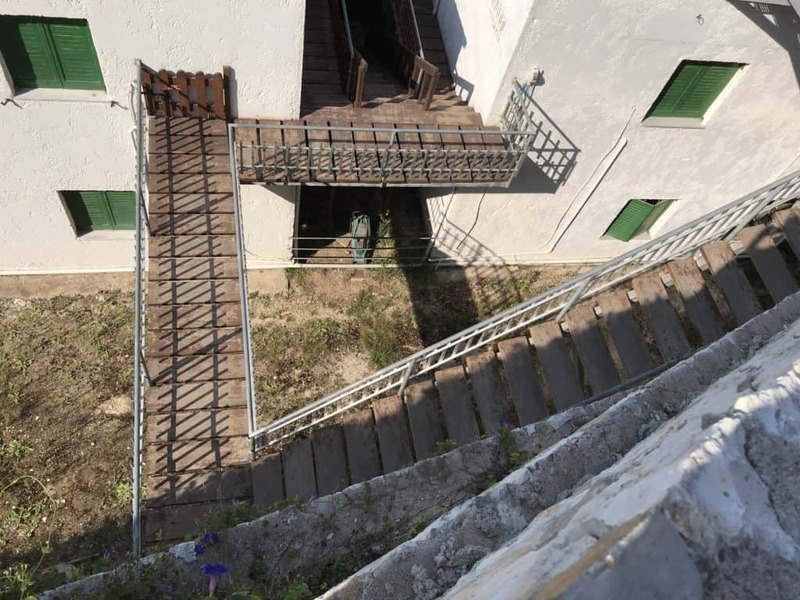 I wrote a separate post all about this titled, funnily enough Why go to Paxos? I liked Paxos so much I created this website so I can share my experiences. And I have never done that before! 2 – Where is Paxos? Paxos is located to the south of the lovely island of Corfu in the Ionian Sea. Here it is on a map where the red tab is. 3 – What is the weather like in Paxos? Nice and hot and sunny in the main holiday season which is May to September. There is a chance of rain in the summer, but this doesn’t last for long normally – often it is caused by the hot weather which creates thunderstorms – brief but dramatic! Or not as is the case on this video taken from this balcony at Hotel Bastas. 4 – When is the best time to visit Paxos? Well I have written a separate post about this which you can get to here – no point repeating myself! 5 – How do I get to Paxos? Again, such a fundamental question this deserved a dedicated post titled Paxos – How To Get There. How do I come up with these titles?? 6 – What about Paxos airport? There is no airport on Paxos! That is part of the charm. I had to write a post called Paxos airport – everything you ever need to know guaranteed! I just could not resist this! 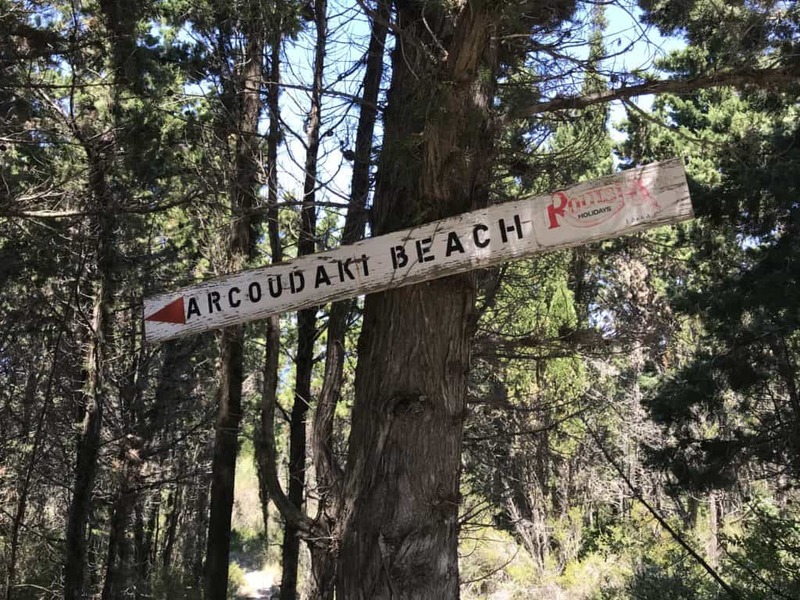 The nearest airport is on the neighbouring island of Corfu, and you can find all about the actual airport in this post. 7 – What is the currency of Paxos? The Euro. Love it or hate it, that is the currency on Paxos and all parts of Greece. I say love it or hate obviously because I am in the UK, and we do not have the Euro! 8 – Is Paxos expensive? Holiday prices are not cheap – it is a small and therefore relatively exclusive island with low volumes of travellers. But these things are all relative. And once you are there we have found that the prices are pretty average and as expected. We ate expensive meals costing well over 100 Euros, and also had full meals including drinks for less than 40 euros. And the cheaper meal was much, much nicer! As with all these things it depends on so many things. 9 – What is the food like? Very good. We had a couple of not great meals, but they were the exception. As Paxos gets a lot of Italian visitors there is a strong presence of Italian food, as well of course as traditional and contemporary lovely Greek food. I actually had some very nice Italian meals on Paxos and enjoyed beef stifado four nights running. 10 – Are the drinks expensive? I like a beer, and beer prices were similar to anywhere else I have been. And my top tip is to drink the house wine in carafes – we have only had one bad carafe of house red wine on Paxos – every other time the wine has been really nice. I can’t vouch for the white wine though I’m afraid. 11 – What is there to do on Paxos? Relaxing first. It is a really chilled island perfect to taking it easy and relaxing. And after a few days of that there is plenty to see and do. The three main towns are Gaios the capital, Lakka and Loggos. These are all well worth a visit – chances are if you go there you will be stopping at one of them or near it. And you can get the bus from one to the other and back to your hearts content. There are lots of things to see and do which I will be writing about in future posts on my website dedicated to Paxos. 12 – Can I rent a car on Paxos? Yes, you can rent a car. I did and I absolutely loved it. I got my rental car from Hotel Bastas where we were staying. You can read all about renting a car on Paxos on the blog post titled Paxos Car Rental – Everything You Need To Know. 13 – What are the roads like? Absolutely fine – find out more in the post I mentioned above. 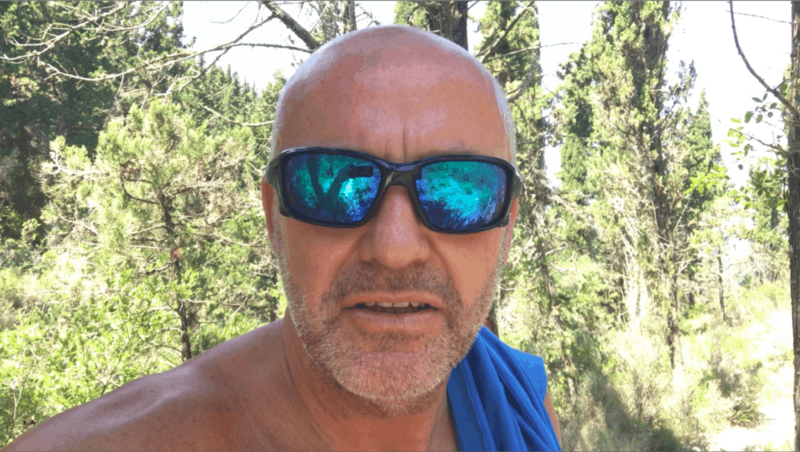 14 – Where is Antipaxos? South of Paxos, and a short boat trip away. Another event well worth its own post titled Should I drive a hire boat to Antipaxos from Paxos? 15 – Can I get Wi-Fi and data on Paxos? 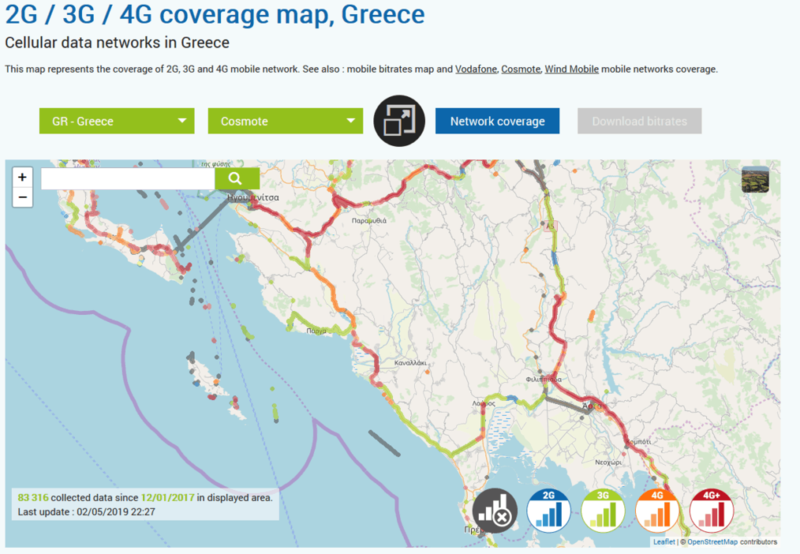 Yes – again such important information that I have written separately about this called Paxos Mobile Phone Signal – And What About WiFi? 16 – What is the capital of Paxos? Gaios, located on the eastern coast of the island about 2/3rds down. Here it is on the map. I have also marked Lakka and Loggos on the map. 17 – What are the main towns on Paxos? Gaios, Lakka and Loggos. All worth a visit as I have said before. 18 – Which tour operators go to Paxos? And you can of course go independently. 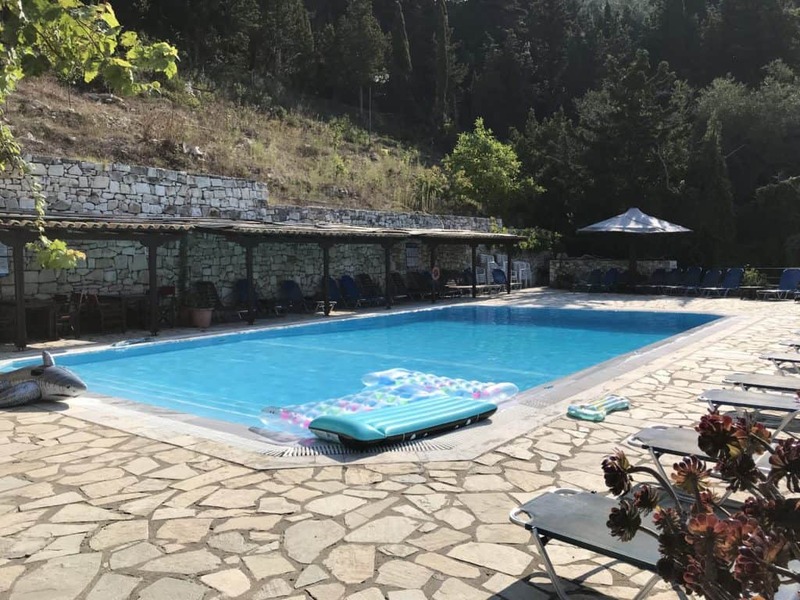 If you go independently don’t forget you have to book the ferry to and from Corfu, as well as getting to and from the airport to the ferry on Corfu and from the port on Gaios to your accommodation. We did this and it all worked just fine so it is not a problem. 19 – Are there plenty of places to stay on Paxos? Yes – there are hotels, aparthotels, villas and apartments. I will not list them all here as they are easy to find through an internet search. I will mention the hotel we stopped at both times, Hotel Bastas. The biggest recommendation I can give to a hotel is that we returned there the next year, this time knowing the actual room number we wanted! 20 – Have you been to Paxos? Yes, we have been twice, and loved it both times. We have found with many places that going back a second time is a mistake. But with Paxos we enjoyed it more the second time. And whilst we might not be going back to Paxos in 2019 I hope that we will be back there soon. And I enjoyed it so much that I created this website all about this wonderful, chilled Greek Island. I hope that you have found my Paxos FAQs page helpful – if you have any other questions please check out the rest of this website, and if you can’t find an answer get in touch with me via the contact page and I will gladly answer any questions you may have. Renting a car on Paxos is relatively easy and is a great way to independently explore this wonderful Greek Island. 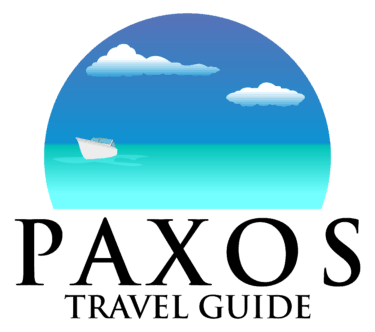 Paxos car rental – everything you need to know – that is what this post is about and nothing else. In this post I will tell how to rent a car, where from, how much it will cost, what kind of car you might get and what you need to bring with you when you are renting a car. Also, what it is like driving a car on Paxos. And lots of other helpful good stuff all based on my actual experiences driving in Paxos. What is it like driving on Paxos? I did this on my last trip to Paxos and had a great time driving round the island getting to those less than obvious places all by myself. Driving around Driving on Paxos is just fine – nothing to worry about. The roads are fine and driving is generally a pleasant experience. Just make sure that you are fully aware of things around you – Paxos is such a relaxing place you do need to make sure you are aware enough to drive! How big is the island of Paxos? Not big. You can get from Lakka at the top of the island to Mongonissi at the foot of the island in less than half an hour. Time depends entirely on other traffic, stopping along the way and getting lost. Yes, on an island so small it is still possible to get lost. I managed to more than once. Look at the road map and you might wonder how this is possible! And I did not make a single trip without stopping somewhere along the way to look at something of interest. If you have a Sat Nav it would not be a bad idea to take it with you. If you are relying on the Sat Nav on your mobile phone you will run into problems on the edges of the island, where the signal just disappears. This is part of the reason I got lost, trying to find places. Well it can’t be my fault can it? And yes I know the island is small but it really will help you. Which side of the road will I drive on? The right. Which is alien to me used to driving on the left. But you soon get used to it. I had to give myself the odd reminder though! What is the speed limit on Paxos? I believe that the speed limit is 50kmh all over Paxos, although I really do not remember seeing a speed limit sign anywhere. This is the national speed limit in Greece for built up and urban areas. And no there are no motorways! Not bad at all. They could do with a little bit of work, but the condition in general terms is pretty good. They are no worse than minor roads in England. To be fair there are bits of the A27 that are in much worse condition! One word of warning – be careful when going down the steep hills to the coast. I drove down to Erimitis Bay Beach and struggled to get back up the hill – when I say struggled I really struggled, nearly burning out the clutch. The problem was that my Peugeot 108 could not deliver enough power to the wheels to get up the steep hill!! Where can I hire a car on Paxos? Lots of places. Every town has car hire companies, and many of the hotels hire cars as well. I hired my car from Hotel Bastas for two days, which cost me around €50. Cars can be hired from many other places around the island, including from hotels and tour operators, and can be booked online in advance. A quick tip here – make sure that you book your car in advance – whilst demand is pretty low supply of hire cars is equally low so don’t get to the end of your holiday and decide you want to hire a car only to find you can’t get one. I suggest you book a car early on in your stay so you know it is sorted. The same applies to boats! All I needed to produce was my full UK driving license and a credit card for just in case. As I hired the car from the hotel they had already seen my passport. You need to have your driving license, passport and proof of insurance/ hire agreement with you when driving at all times though. National driving licences conforming with the model in Annex 9 of the 1949 Convention or in Annex 6 of the 1968 Convention or with the European Communities’ model are accepted. Obviously this applies at the time of writing this post in January 2019! You need to be a minimum age of 18 to hire a car on Paxos. There may be restrictions for younger drivers which did not apply to me of course being quite old. Is there anything else I need to have with me when driving on Paxos? 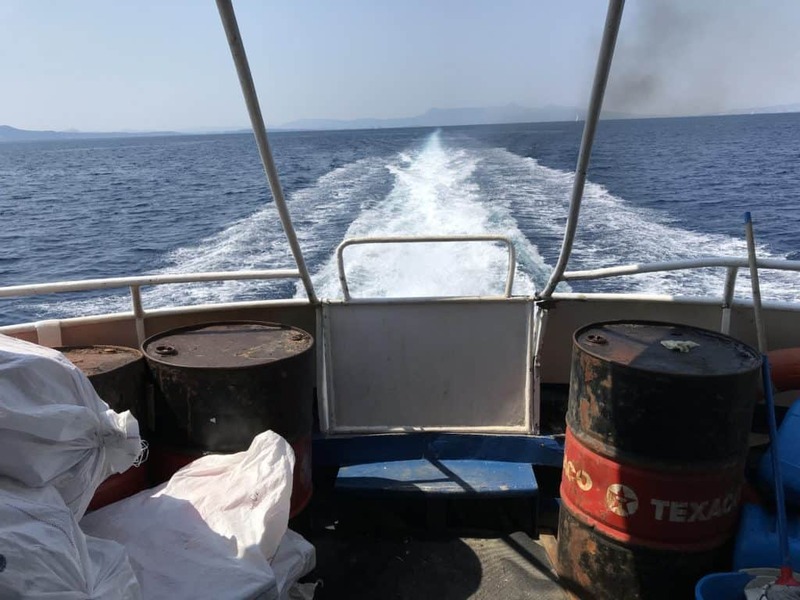 ou should have a warning triangle and fire extinguisher when driving a car anywhere in Greece – see then end of this post for a piece of invaluable information about the police presence on Paxos! Small hatchback cars are the norm on Paxos. I drove a Peugeot 108 which was fine (most of the time). Here is a photo of it. With my shadow. The cost of fuel in Greece has reduced quite a lot on general terms. The current price is circa €1.50 per litre, but you can expect to pay more than that on Paxos. Obviously being a small island there are not that many petrol stations. is The Shell petrol station on the road to Lakka from Gaios – it is just south of the junction where the two roads out of Gaios meet on the way to Lakka. The other petrol station, the BP one is located on the road going south from Gaios down to the bottom of the island – not the coast road but the other one. Here is a map which will explain things more clearly. At the Shell station you don’t fill up yourself – it is done for you, which is always nice. And I can’t vouch for the BP station as I only fuelled up once. Well I would for three days on such a small island! The only car park I found where I had to pay for parking was at the car park at the supermarket in Gaios – Paxos Market – this it turns out is the “public” car park in Gaios. At most places the parking is rather informal, and I never once saw any form of parking enforcement. What are other drivers like? This is the interesting bit. Let me put this diplomatically. You can tell the local drivers from the tourist drivers. And I was clearly a tourist driver. And it can get a bit interesting when there is a bus or large wagon coming the other way! Be careful with the steep roads down to the beach as I said before. And the other interesting thing is driving along the seafront in Loggos – if the bus is coming the other way best wait for it to go past as it is a bit tight! You really need to see this to believe it. I seriously regret not taking a video of this spectacle! 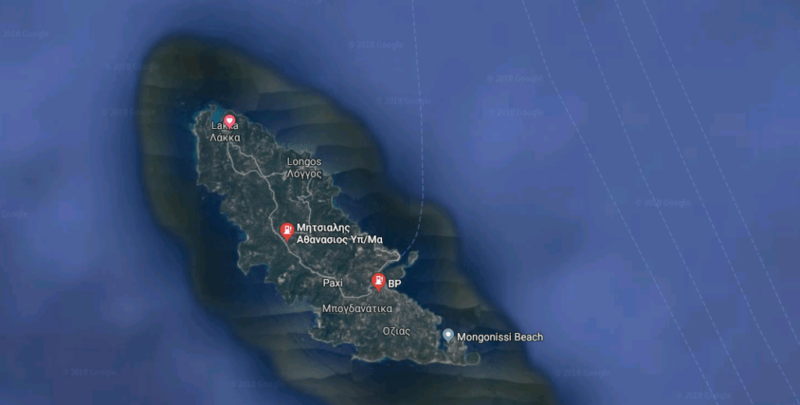 A quick word about the police presence on Paxos. There are two policemen on the island – I know I have seen them both together! You have decided to visit the wonderful Greek Island of Paxos. Great decision, but there is a very important question that needs to be answered. When is the best time to visit Paxos? It really depends on what you want to do and get out of the island, but our favourite time to visit Paxos Is August, where we have enjoyed long, lovely hot summer days. In this post I will share my experiences of visiting Paxos in August, as well as give you my thoughts on the problems holidaying out of season in Paxos. What is Paxos like in August? Hot. Lovely and hot with nice long days. It might be a touch too hot for some people, and sometimes it can be a challenge getting ready in the evening to go out for dinner. If you like days lounging about by the pool reading and taking in some sun August is perfect. And I loved it going out and exploring and taking photos. In August I could go out well before sunrise in just shorts and a t-shirt and be absolutely fine. And when I went out at noon to find other locations to photograph whilst I got hot and sweaty I was fine as long as I had water. Me feeling the effects of the heat on an afternoon explore in August on Paxos without any water! OK not the best look granted but I survived!!!! And here is the video! I managed to do my writing when we got back to the room each day later afternoon sat on the front balcony of our room at Hotel Bastas – the upper floors did provide some air movement which gave a bit of respite. We did witness a bit of rain which was interesting – it was all over in an hour though – check out the video on my YouTube channel. And the hire boat trip to Anti-Paxos was a complete joy, a sunbathing delight. You can read more about that in a future post. So, we love going to Paxos in August, but are looking forward to going back out of season for a completely different island experience. OK – that is my take on holidaying in Paxos in August – now for some facts which will help you decide which is the best time of year to visit Paxos. That only tells you part of the story. The high/ low temperatures in say August are 31/ 19° C. I don’t remember experiencing 19° C at any point in our two visits to Paxos to be honest – it felt much, much warmer than that even at night. Bearing in mind that I was often up at 4 in the morning to go out and photograph sunrise. Very, very nice indeed. 25 degrees is a sheer joy to swim, snorkel, just immerse yourself in. And pick the right spot and the waters are crystal clear. July and August for me – I go to Greek Islands for all that lovely sunshine, amongst other things of course! That the facts – what about getting there out of the main season? OK – so we have established that the sea temperature is lovely all year round (I can say this as a qualified scuba diver living in England! ), and that the air temperature is lovely and warm May to October. How about getting to Paxos out of season? You can read my post all about getting to Paoxs here, but what about getting to Paxos out of season? Getting flights to Paxos airport. Sorry – Corfu Airport. Read more about Paxos airport in this not so serious post “Paxos airport – everything you ever need to know guaranteed!” Seriously now, Corfu International Airport is a major international airport. At the time of writing this (January 2019) to fly to Corfu right now involves stops at Alicante, Frankfurt and Athens! I did find a flight with just two stops, but you get the point – this is not peak time of year. Flying from London is a tad easier out of the main season, but you still have to change in Athens. Off season flights from the UK to Paxos are therefore via Athens. I am sure that there are alternatives, but this is the conventional way of getting to Corfu. OK. Two/ three stops later we are at Corfu International Airport. Now how do we get to Paxos? Well this is a bit of a problem. 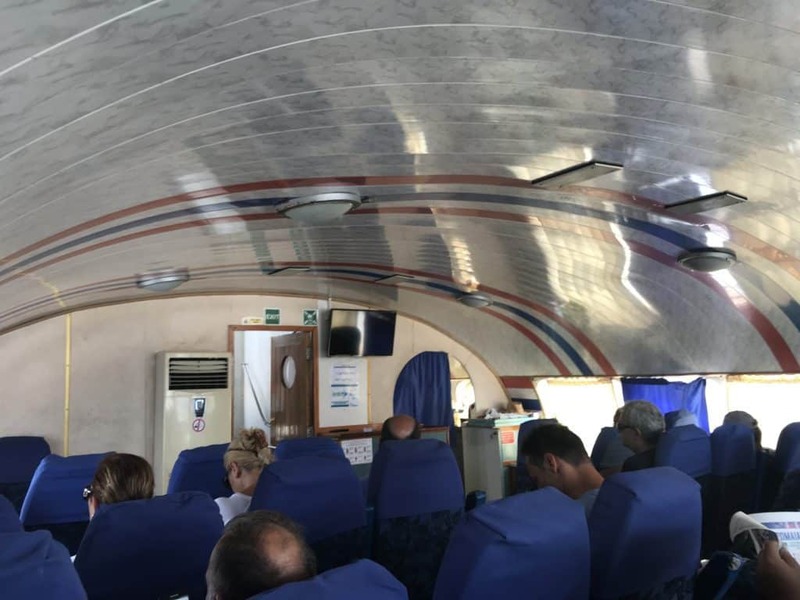 According to the website Paxos Greece there are three ferries from Corfu New Port to Gaios, Despina Passenger Boat (Kamelia Lines), Christa Passenger Boat (Kamelia Lines) and the Ilida II. They do not start running until June 18th and stop running 30th September. Well the Christa runs on an extra month, stopping it’s service October 31st. So that is a bit of a problem. You can get a ferry direct from Igoumenitsa to Paxos off season. You can check out the timetable here. Where is Igoumenitsa? 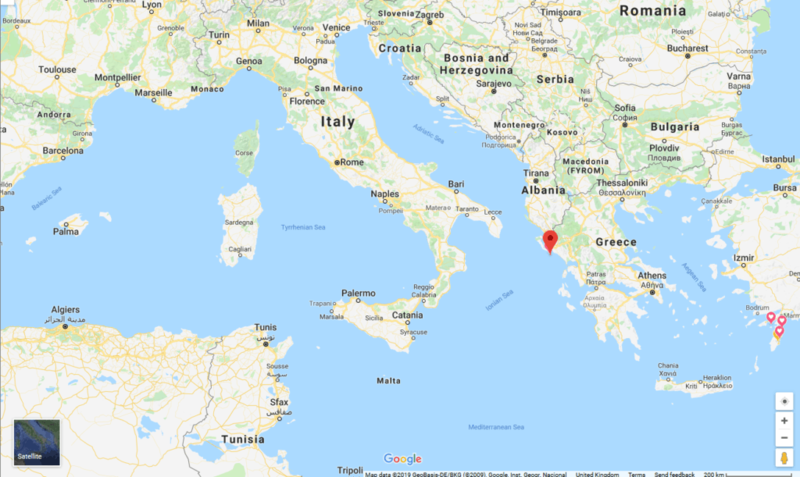 It is on mainland Greece – here it is on the map. I have finally got to Paxos – now what? Most of the hotels in Paxos close down for the winter. We stopped at the lovely Hotel Bastas in Lakka. Hotel Bastas is open from 1st May to 30th September – this is typical of the tourist hotels on Paxos. If you want to stay off season your best bet is to find a hotel in Gaios, the capital of the island. The choice is rather limited though I have to say. It will take a bit of digging around on the internet through the usual hotel booking sites. If you contact owners direct you might get an off-season bargain – try Owners Direct. Same thing. Gaios is your best bet out of season, the smaller towns are pretty much closed down out of season and most people are on the mainland of Corfu or other places off Paxos. Summary – when is the best time to visit Paxos? As you will now have gathered the best time to go to Paxos is when everything is open! The main season is May to the end of September. Out of these times it is possible to stay in Paxos, but your choices of transport to get there as well as places to eat and drink will be limited. And it can be cold, wet and windy. But it will be very, very quiet. It is my ambition to have an extended holiday in Paxos out of season, and I am thinking October. It is still nice and warm, even though the days are shorter, but this quiet Greek Island will be significantly quitter immediately out of season. I am thinking the first week in October maybe? So, to get back to the original question, when is the best time to visit Paxos? Anytime between May and September – it really depends on the temperatures that you are comfortable with and what you want to do. If you want to go walking the early months will be better, but if you want to lie in the sun all day then July and August are the best months.